Looks like you won't have to throw away your iPods after all. Apple has won its much-heated, highly publicized dispute with the National Music Publishers Asociation over an application to raise royalty fees for songs purchased from online music services. Which means that that Apple will not be shuttering iTunes - as it was threatening to do - if the per-song rate was boosted from 9.1 cents to 15 cents, a 66 percent increase. This is the rate that is paid to music publishers by the record companies, which deduct it from the 70 cents Apple pays them for each song it sells. The liklihood that Apple would have actually gone ahead with its threat and pulled the plug on iTunes was never perceived to be all that real - saber-rattling is more like it - but apparently it was enough for the three-member board that sets statutory copyright licenses to inform the Digital Media Association, the National Music Publishers' Association, Apple and other download stores (such as Rhapsody) with its decision to keep the royalty rate at 9.1 cents a song. While this is widely perceived to be a huge victory for Apple - which is predicted to have an 85 percent share of the digital music market in 2009 - the company was at the same time seeking to decrease the rate it pays to 4.8 cents per song. This application was refused by the board. This royalty rate of 9.1 cents per song will stand for the next five years. In a statement submitted to the board last year, iTunes vice president Eddy Cue said that Apple would not stand for an increase: "If the [iTunes store] was forced to absorb any increase in the royalty rate, the result would be to significantly increase the likelihood of the store operating at a financial loss - which is no alternative at all," the statement read. 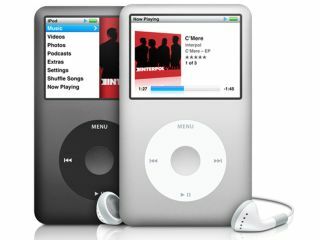 Cue added that Apple would have no qualms about closing iTunes down if it was not making enough money. "Apple has repeatedly made it clear that it is in this business to make money," he said, "and most likely would not continue to operate [the iTunes store] if it were no longer possible to do so profitably." But all is not status quo, however. For ringtones, the federal agency set a new rate of 24 cents, which is roughly in line with the industry practice of paying songwriters 10 percent of revenue on each $2.50 ringtone.Surprisingly, the rate was even higher than the 15 cents per song requested by songwriters and publishers. All of this comes at a time of rapidly increasing changes in the ways consumers are purchasing music. Digital downloads grew 38 percent from 2006 to 2007 to become a $1.26-billion business, making up 23 percent of the market for recorded music. During the same period, sales of physical music media such as CDs, cassettes and DVDs declined 19.1 percent to $7.5 billion. In short, people are purchasing more music and music-related entertainment than ever - just not the way their parents did.